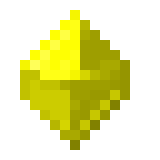 Mese Crystals can be obtained by mining Mese Ore or by crafting it from Mese Blocks. They can be used to craft Mese Blocks, Pickaxes, Shovels, Axes, Swords and other things. Mese Crystals can be broken into 9 Mese Crystal Fragments. Decorative block, can only be mined with a steel, bronze, Mese, or diamond pickaxe. Can be reverted to Mese Crystals. Intended to be used by other mods. Useless otherwise. This page was last modified on 6 March 2019, at 16:43. This page has been accessed 26,308 times.